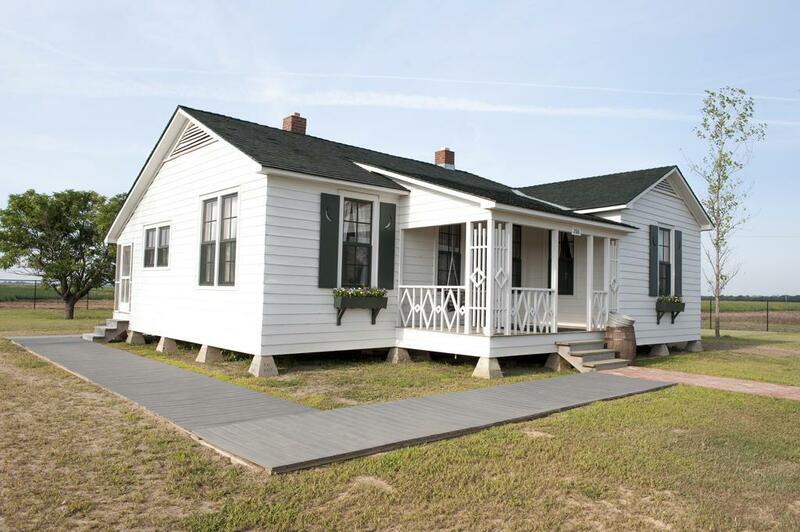 JONESBORO – Beginning Thursday, Dyess Colony and the Johnny Cash Boyhood Home will be a bee hive of activity with the opening of the 2018 Johnny Cash Heritage Festival. To accommodate visitors during the three-day event (Oct. 18-20), here is pertinent information regarding the festival. Festival tickets may still be purchased at the Arkansas State University Box Office, First National Bank Arena (lower red entrance), 217 Olympic Drive. To purchase online tickets or learn more about the festival, visit the festival website, JohnnyCashHeritageFestival.com, and click on “Buy Tickets,” or contact the box office at (870) 972-2781 or (800) 745-3000. Tickets also will be sold in the Dyess Colony Visitors Center on Thursday and Friday and at the field entrance on Saturday. Thursday and Friday activities, including public presentations during the day and KASU Music Nights beginning at 5 p.m. each night, will take place at the Dyess Colony Circle. Admittance to all of these events are free. Parking is available at the Dyess Community Center, located on State Highway 297 (Johnny Cash Highway) between Elm and Fourth streets. A shuttle is available on Thursday and Friday between parking and the circle. Saturday afternoon concert events, featuring artists Jamey Johnson, Alison Krauss, with Ana Cristina Cash, Suzanne Cox, Heather Berry Mabe and Ira Dean, will move to the former cotton field adjacent to the Johnny Cash Boyhood Home, with gates opening at 11 a.m. Shawn Camp will open the performances at noon, followed by Bill Miller at 1:05 p.m. John Carter Cash, the Grammy-winning son of Johnny and June Carter Cash, is the event host. The main event, the Johnny Cash Show 50th Anniversary Tribute, will be from 2:15 to 5 p.m.
General Parking: Parking for the Saturday events is designated at the Dyess Community Center ($10 fee), located on State Highway 297 (Johnny Cash Highway) between Elm and Fourth streets. Concert ticket holders will be shuttled via hay wagon or van from the parking area to the field adjacent to the Johnny Cash Boyhood Home for the afternoon events. No unauthorized vehicles will be allowed on County Road 924. VIP Parking Passes ($50): If you have purchased an on-site parking pass for the Saturday concert, you will enter County Road 924 from State Highway 77 on the west side of the field. You must display your parking pass on your dashboard to gain entry. ATM Machines: ATM machines will be at the festival site. Food and other purchases are by cash only. On Thursday and Friday, the film and symposium portion of the festival features free public presentations followed by the free KASU Music Nights of regional music in the Dyess Colony Circle. Other events include a Memories of a Lifetime oral history project, food vendors, and arts and crafts booths throughout the three days. Weather conditions for the Saturday concert are predicted to be mostly sunny, with the temperature around 66 to 68 degrees. According to weather forecasters, chance of precipitation is 10 percent. The festival is coordinated through Arkansas State University Heritage Sites and licensed through the John R. Cash Revocable Trust.